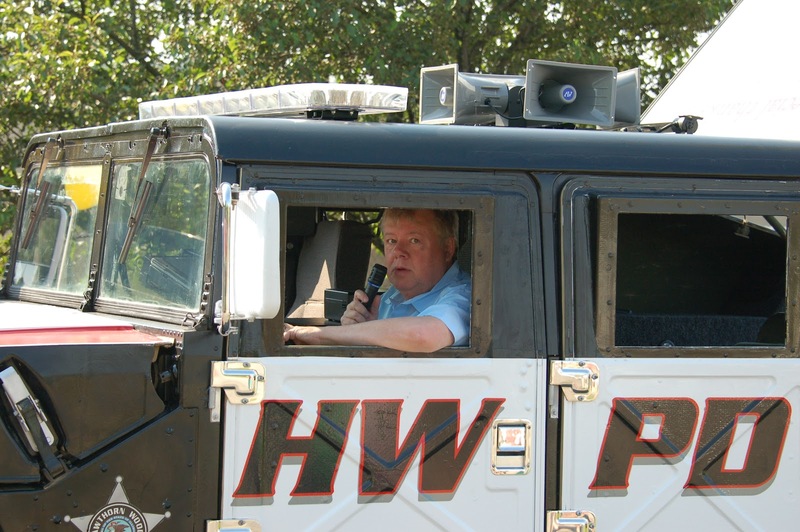 This Fourth of July, the AmpliVox Sound Cruiser Car PA System was used by a local police department to play patriotic music during the town parade. 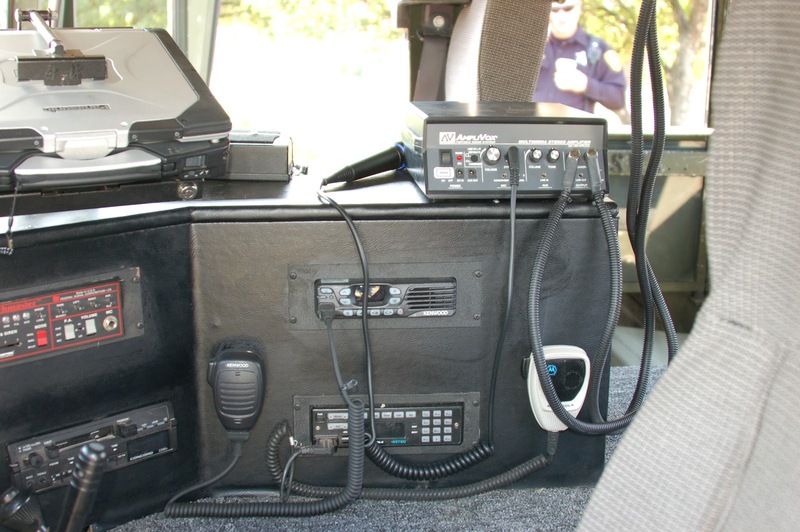 In addition to broadcasting music over a wide outdoor area, parade officials were also able to communicate their emergency and holiday messages through the microphone and amplifier. 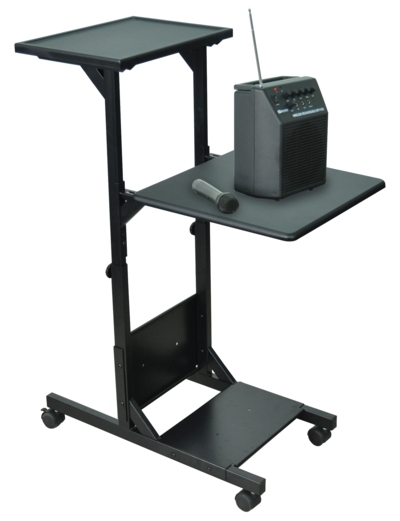 The Sound Cruiser is easy to set up with its suction cups and straps and allows users to easily connect external devices like a smartphone or iPod to play audio. The powerful horn speakers are available with dual or quad horns and can be heard one half mile away! There was a Community Emergency Response Team (CERT) in the parade and it was suggested that the Sound Crusier would be a great addition to the CERT truck as a part of their response team. a ride in the Police Hummer! FAQ: Can I plug an iPod into the AmpliVox Sound Cruiser? For more information, please visit Ampli.com or call (800)-267-5486. For this year's Northbrook Chamber of Commerce Golf Outing, event planners chose the AmpliVox Pinnacle Pro Starters Lectern and Digital Audio Travel Partner PA System to communicate event information and give presenters a professional look. The Digital Audio Travel Partner 250-watt PA system helped with crowd control, projected outing rules and announced the winners of the various prizes offered. 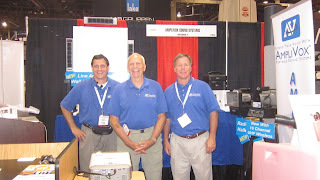 This indoor/outdoor portable PA system allowed presenters to communicate over a large space and spread out crowd. 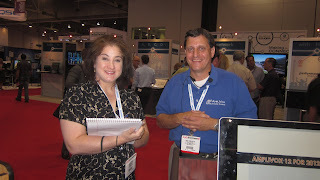 Users commented on the clarity and power of the Digital Audio Travel Partner and said that it was simple to use. The additional wireless speaker (S1297) projected the sound to golfers down the fairway and could be heard over the noise of wind and golf carts. Wile announcing the awards it was moved inside to communicate with those in the clubhouse. 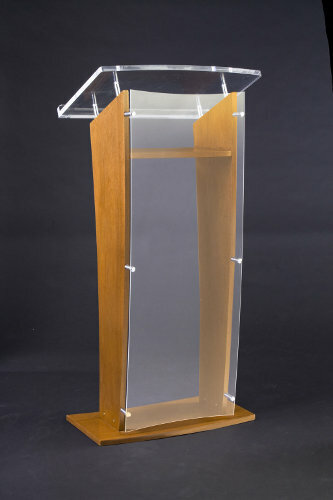 The Pinnacle Pro Starters Lectern gives golf courses flexibility with a stylish indoor/outdoor lectern whose lightweight frame can be moved easily on two rolling casters. It comes with an umbrella stand and organizer. 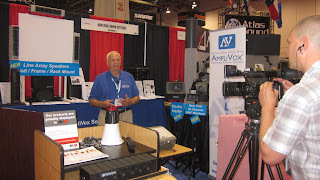 This video showcases AmpliVox's campaign "12 New Products for 2012" and below are some photos from our time at the Infocomm 2012 AV Visual Show in Las Vegas, NV. AmpliVox's Keith Urban looking good as usual. comes to life! Don't believe me? Watch this. 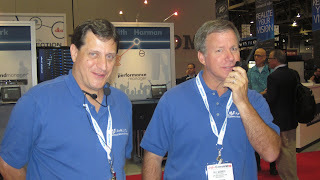 AmpliVox's fine sales team: Dan and Bill. 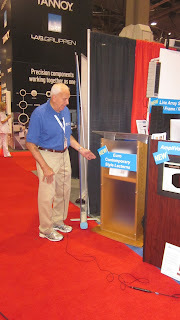 Don making our new Acrylic lectern looks just right. with our Pink Podium for Breast Cancer Awareness! NORTHBROOK, Ill., May 24, 2012 /via PRNewswire/ -- AmpliVox Sound Systems, engineers, manufacturers and marketers of sound system technology, announced today "The 12 for 2012!" product line-up, a landmark expansion of its offerings by introducing 12 new products. The new products include elegant lecterns and podiums, high-tech public safety sound systems, and versatile audio products to enhance multi-media presentations, representing the largest expansion of AmpliVox's line in its 60-year history. 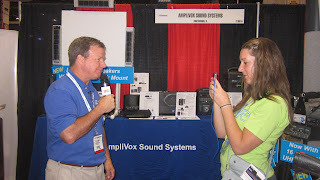 AmpliVox's debut of products was on display at Booth #C10816 at InfoComm 2012, June 13-15 at the Las Vegas Convention Center. 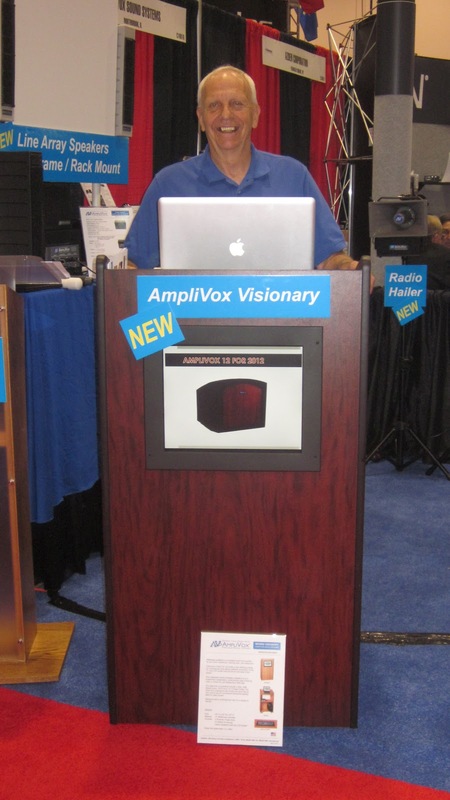 "Sound system technology has taken another dramatic paradigm leap," commented AmpliVox CEO Don Roth. 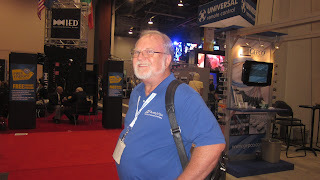 "It's our mission at AmpliVox to make the best presentation and sound amplification systems available to our customers. We are constantly striving to make our products simple, versatile, and easy to operate so that anyone can use them with a minimal learning curve." The Emergency Strobe Mity-Meg Megaphone- AmpliVox's powerful 10-Watt megaphone fully outfitted for safety with strobe light, siren, whistle, talk, and record/playback functions. Mity-Vox Portable PA- A compact 20-watt battery-operated PA complete with wireless microphones, rechargeable batteries, inputs for accessories, and built-in storage. 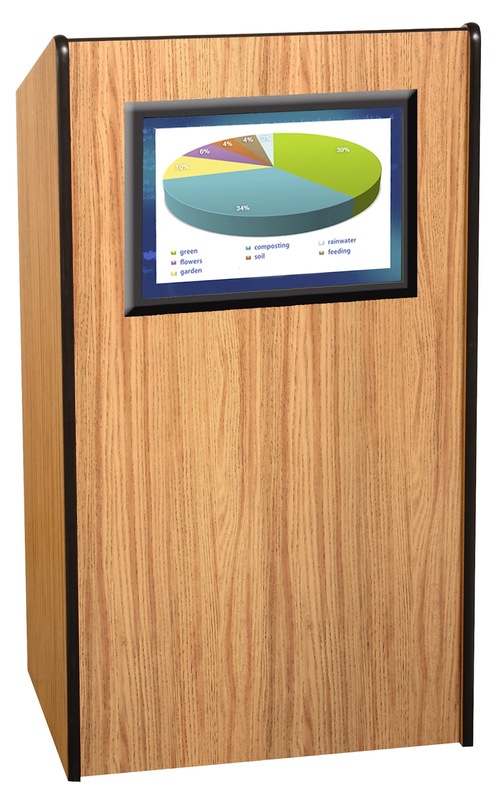 Multimedia Computer Lectern- Attractive lecterns to support and store multiple devices for multimedia presentations, including a rack-mount amplifier and data ports. Powered Desk/Wall Mount Stereo Computer Speaker- Crystal clear sound with wired connections . To learn more about the exciting new developments in AmpliVox's product line, visit www.ampli.com. 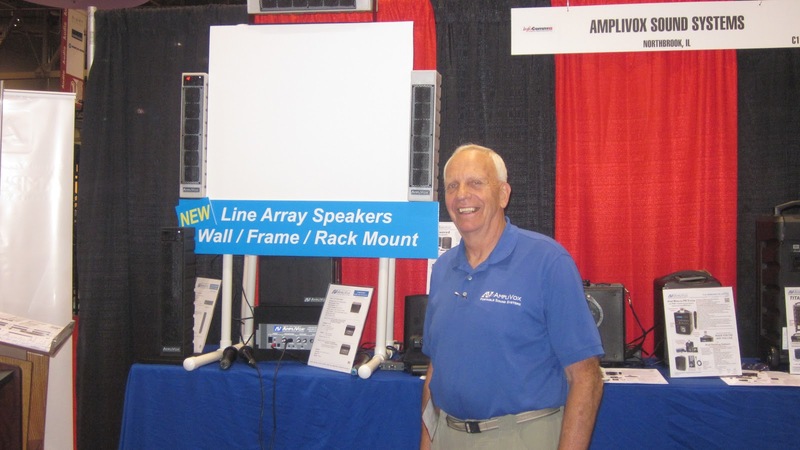 This article was originally featured in the local Pioneer Press covering big AmpliVox news. 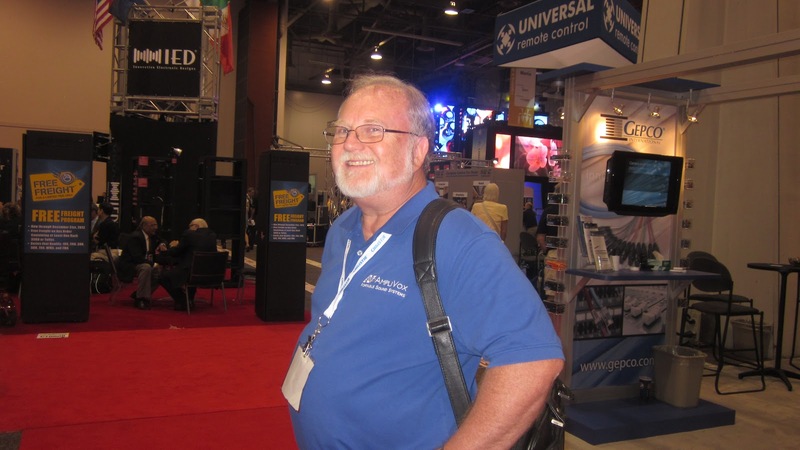 NORTHBROOK — AmpliVox Portable Sound Systems, which designs, engineers and manufactures public address systems and lecterns, has not suffered a decrease of business like most other companies during this poor economy. On the contrary, it has had to move to a larger location in Northbrook to facilitate its growth. Its products are being used inside and out around the world in more than 50 countries. 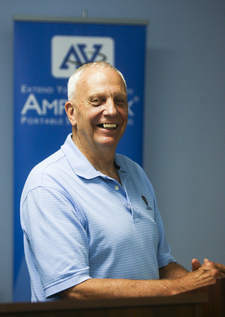 Before heading AmpliVox, Don Roth, its chief executive officer who is also a Northbrook resident, was regional vice-president for Xerox and executive vice-president of Apeco and Numeridex Cad/Cam systems. He acquired Amplivox from Perma Power in 1995. 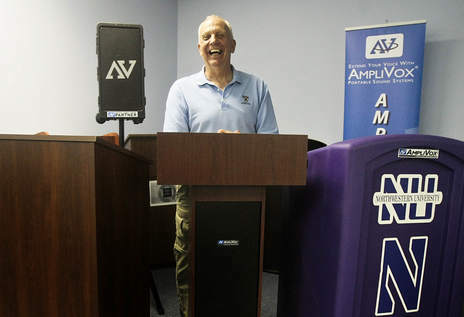 PermaPower, which was founded by Norm Ackerman in 1952, introduced the AmpliVox line of portable public address systems in the 1960s, Roth said. 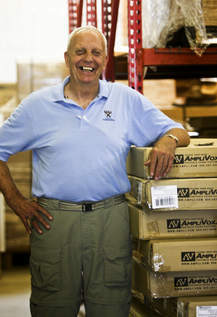 “For the last several years Amplivox has seen exceptional growth, despite the recession. We were in Northbrook on Commercial Avenue where we had 12,000 square feet,” he added. 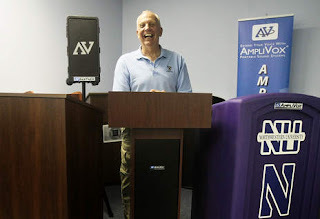 AmpoliVox creates its sound systems and lecterns mostly from parts made in this country, although some components are made in China, Roth said. This allows the company’s staff to control the quality of its products, he added. “Part of the credit for our growth goes to our great, solid team of people from marketing to sales, engineering to manufacturing, and customer service,” Roth said. “In fact, we have exceptional customer service. We really support the customer in every way,” Roth said. That and the products built into a variety of configurations using metal, plastic and wood to accommodate 10 to 10,000 people indoors and outdoors has resulted in the exceptional sales, he added. Some of Roth’s employees who came from the previous company have been with him more than 30 years, while others have been employed there 12 years. “I look for people with heart, soul and passion when hiring,” Roth said. 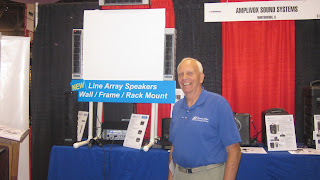 Roth noted that even though the company’s speaker system is designed to be simple and easy to use, customers may need help finding the right level of sound, directing the sound and handling sound coverage. “We go out of our way to help. We have 800 numbers and always answer the phone within three rings. That is an absolute must. By performing that way, we have earned the recognition of being responsive,” Roth said. 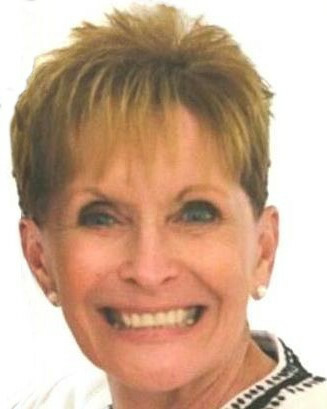 Roth, who was a board member of the North Suburban YMCA nine years and has co-chaired the Y’s capital campaign that began about six years ago, also donates a percentage of certain equipment to the Y. He also supports the US TOO International Prostate Cancer Education Support Network and the Susan G. Komen for the Cure Foundation to fight breast cancer. Auctions are one of the most popular way to exchange goods like machinery, cattle, vehicles, used equipment, and other goods. Auctioneers cannot keep their voices while bid calling for hours on end, so how are they to preserve their voice yet communicate their message? 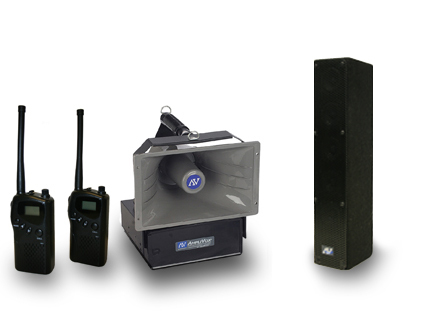 Auctioneer Wireless PA systems from AmpliVox are a great way to preserve the voices of auctioneers and keep their profits up! Wireless systems and wireless microphones are available for each PA system including lapel, handheld, or headset microphones. Each of these systems are great for indoors or outdoors and can take a beating! 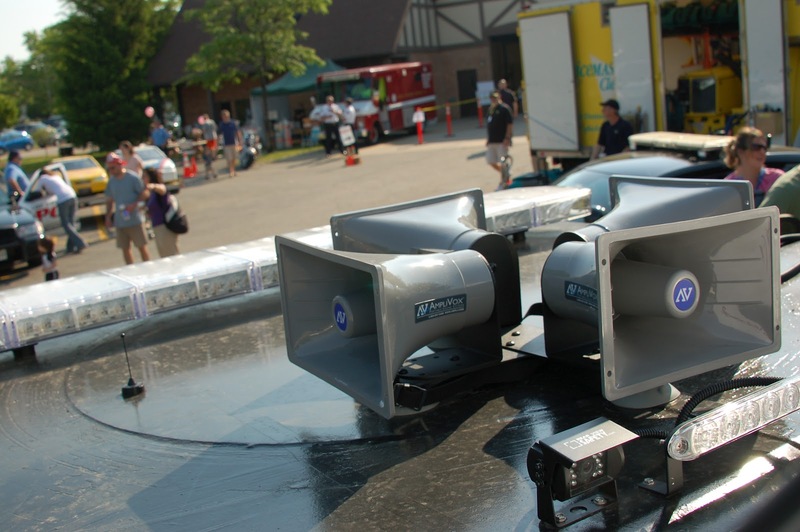 The Half-Mile Hailer PA System and the This is a favorite among auctioneers because of is power and durability. It is a 50-watt system that really can project up to a half mile. Kurt from Kiefer Auction Supply has had his Hailer for 15 years, and we have heard stories of people using Half-Mile Hailers for up to 25 years! 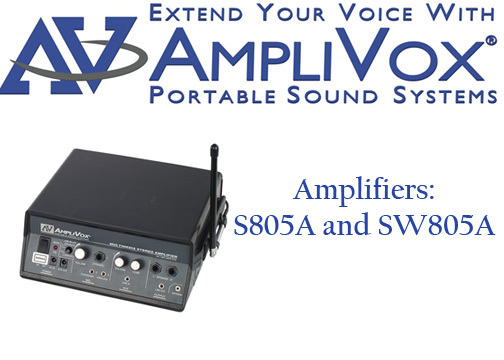 It comes with a 6 year warranty and is one of AmpliVox’s Signature Products. The Audio Portable Buddy is a 50-watt system is conveniently packaged in a durable briefcase-like shell keeping your equipment safe. The battery life lasts an incredible 200 hours, so you won't have to worry about losing your sound during your presentation. The system is easy to use and plug-and-play. Watch a video on Audio Portable Buddy. The Voice Projector PA System Bundle is a stylish and professional solution to your meeting room needs and provides flexibilty to the presenter because they are able to place speakers up to 500 feet apart! This features a completely wireless design and an amazing battery life of up to 200 hours. 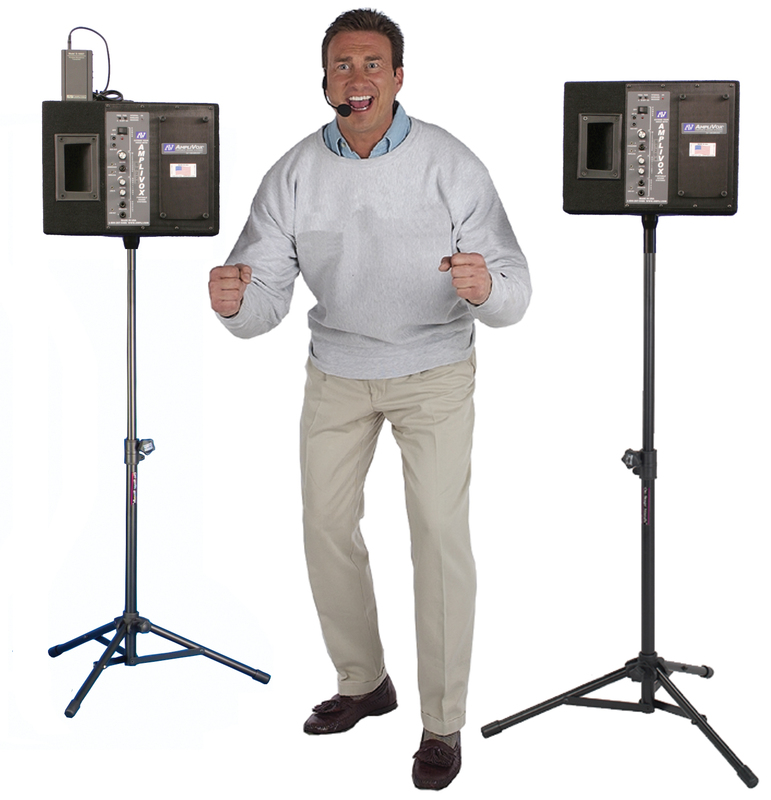 The Digital Audio Travel Partner 250-watt PA system is another great system that is perfect for auctioneers who need a PA system for a number of different purposes. 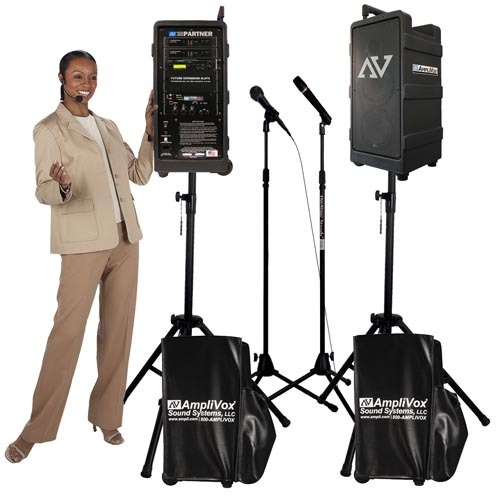 You and your team are able to clearly and powerfully communicate your message with up to four wireless microphones! With other features include a built in CD player, a long lasting battery, and easy iPod connectivity, you will have all your public address needs met with the Digital Audio Travel Partner. AmpliVox is very well known for its outstanding computer carts and desks. 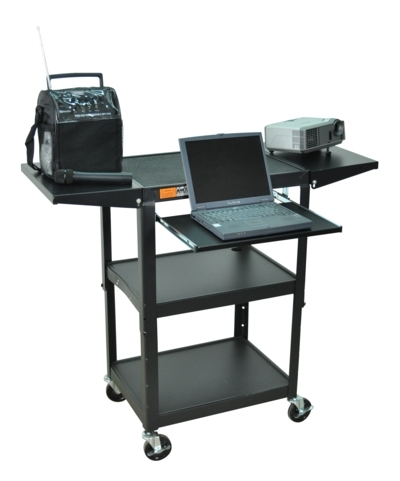 Not only do we make voice amplifying portable PA systems but we also make computer carts and desks that would be perfect for your school classroom or office building. 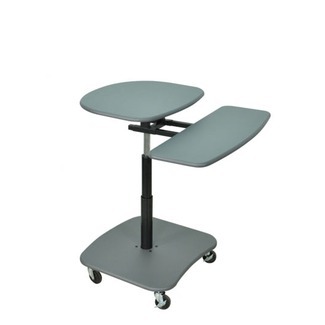 Our computer carts and desks are perfect because they are durable, they can be moved around with ease, and can be changed around and put in different positions which makes them more accommodating to the people who use them. This computer cart from AmpliVox has multiple purposes to it. This multipurpose cart has a drop leaf side shelf which would be ideal for a projector to go onto. The other pull out shelf it contains would be perfect for a laptop computer. This computer cart has a locking cabinet which leaves room to store a computer and other supplies. 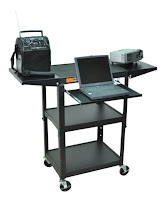 This work station will help you carry everything you need for your next presentation. This product was designed specifically to have large work spaces for the best selling document cameras and their presenting stages. It is 41 inches tall with an adjustable shelf and moves on four rolling casters. 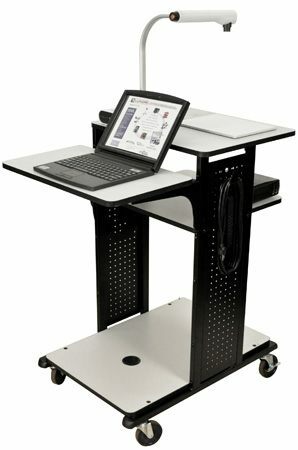 This product can serve as either a seated or stand-up workstation for laptop or desktop computers. 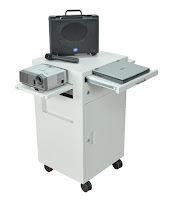 It has a shelf that can pull-out for either a keyboard or projector. Comes with 3 inch rolling casters so mobility is not an issue. 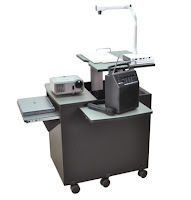 Comes with a locking cabinet, split-top surface, rolling casters as well as a lifetime warranty! This product will help carry the things you need in order for your next presentation to be a successful one. Available in Gray finish and Black/Gray finish. The Adjustable Height Metal Cart comes on four rolling casters which makes it easy to move from room to room. It also comes with tables that have been welded which makes it extremely durable. Also includes a pull-out mouse and keyboard shelf as well as two steel shelves which helps increase work space. The Adjustable Height Metal Cart comes with a lifetime warranty. The Multimedia Projector Stand is quite a resourceful item. Not only does it come with three shelves for holding items like a laptop or a printer, but you can also adjust the height on as well. This product also comes on four rolling casters which makes moving easy. The Multimedia Projector has a lifetime warranty on it and it comes in a black finish. First are there enough microphone inputs for your purposes? 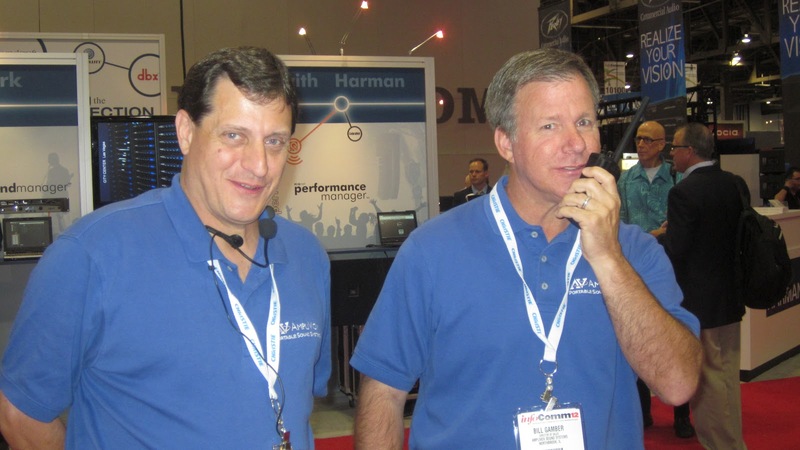 Generally speaking 2-4 microphones are all most presentations will need. Too many microphones will restrict your ability to amplify. Every time you double the number of active microphones, you lower the maximum level of amplification. Are the inputs compatible with the microphones? All of our microphones are compatible with our amplifier inputs so you don’t need to worry about compatibility. Does the amplifier provide phantom power if your microphones require it? Are there line level inputs? Line level inputs accept higher input levels from equipment such as tape recorders, CD players or other audio gear. This may be important if you want to play back recordings through the PA system. Some presenters will use this to entertain people before the event. Are there line level outputs? Your tape recorder will give you better recordings if you can record directly from your sound system. You can damage equipment if you try to record from the speaker outputs because the voltage will be quite a big higher than the recorder input is designed for. 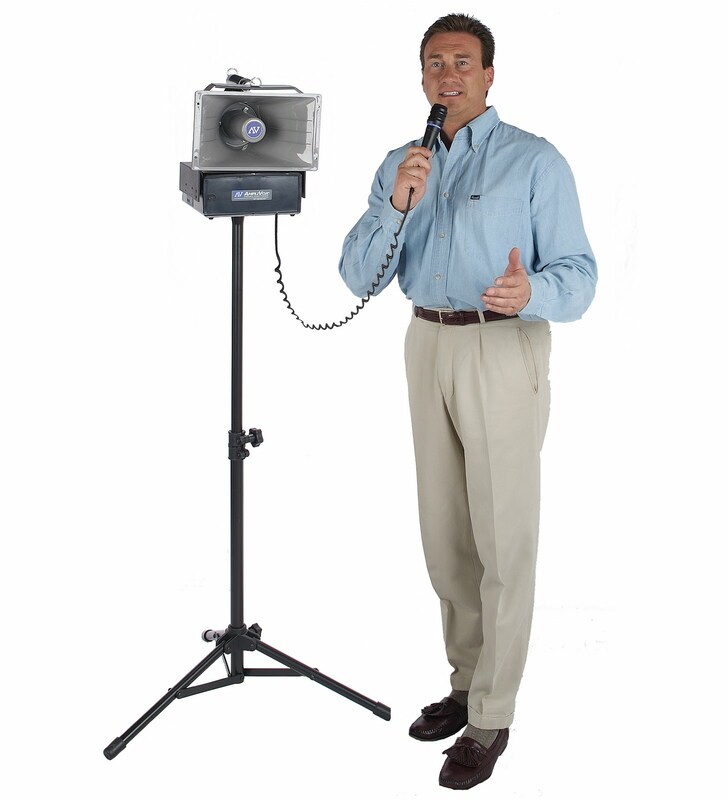 Our Amplifiers have a line out to record your presentation while it is happening. The output of the amplifier is described by the wattage output and the distortion. These are also the more important rating of the system. The wattage is going to determine ultimately how loud you can get your system. This is also the rating that gets kicked around a lot in the specifications. Below are a few specifications and how they should be interpreted. This is the power output. This specification should tell you the power level in Watts (RMS). RMS means “Root Mean Square.” Basically, it gives a more realistic rating of the amplifier’s continuous output. Peak power will tell the maximum output the system can generate for a short time, but this figure won’t tell you how well it will perform for long periods of time. 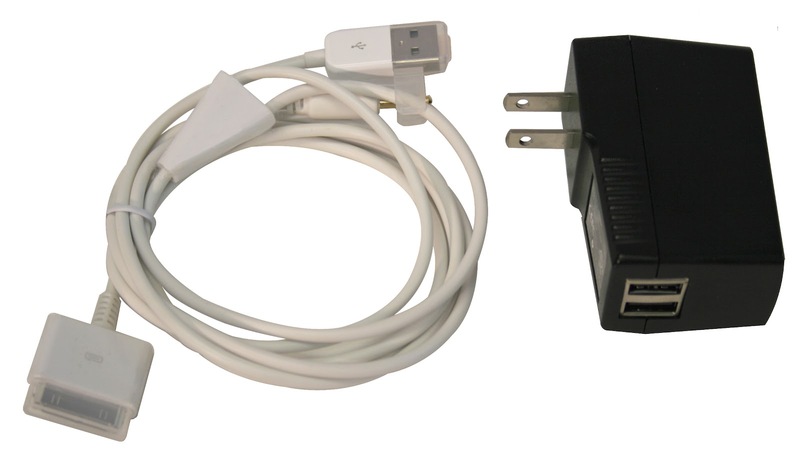 RMS power may be also noted on the specifications as continuous power. A properly listed power rating will tell you the output in watts RMS into a resistance measured in ohms. Most PA speakers are 8ohm. This specification is an indication of the amount of distortion you can expect. The lower this number, the better the sound should be. For nearly all good amplifiers for PA purposes, this number should be lower than 1%. For example, a 50Watt RMS amplifier into 8Ohms has a distortion level less than 1%. Avoid Overkill. Buying a system larger than you need is costly. The more efficient your system the better off you will be. If you are buying a system that will be permanent, purchasing a system made up of separate components and installing them may be of benefit. Be sure to install good security features to keep the equipment safe when it is not in use. 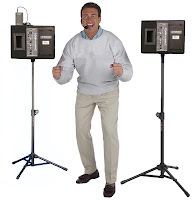 There are many good portable PA systems available on the market which will give you good coverage and plenty of power. These systems are built with the microphone, amplifier and speaker already matched up. The advantage is reduced set up time, just plug and play. In addition these systems can be stored in a locked area when not in use. There are a few important factors to consider when purchasing a portable system. 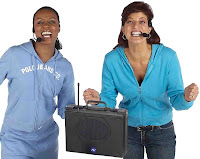 If it is a portable battery powered PA, check the batteries will last all day at full volume. Battery capacity is measured in amp-hours (AH). Batteries that are rated for 8AH are going to last longer than batteries rated 3.2AH. Be careful of systems that don’t tell you the actual output of the amplifier. Some products may be advertised telling you the capacity in the speaker or speakers included with the unit as a system. This will tell you about the speaker, not about the amplifier. It would be like advertising a car that has tires capable of driving 300mph, but they don’t tell you that the car can only travel 25 mph. Talk to others in your industry about their portable PA system. Call the company you are researching for references. Make sure that you get a warranty in writing. 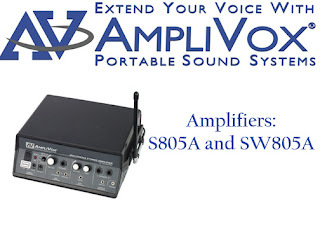 AmpliVox Sound Systems offers a 6 year warranty on our Portable PA systems.